Connecticut Gets Hit By Wave of Coin Shows This Weekend! THIS SATURDAY, SEPTEMBER 26TH, 9AM – 2PM IS THE NAUGATUCK COIN AND CURRENCY SHOW!! AMERICAN LEGION, 21 CEDAR STREET, NAUGATUCK, CT. 20 TABLES, FREE ADMISSION, TONS OF PARKING!! THIS SUNDAY, SEPTEMBER 27TH, 9AM – 3PM IS THE NEW HARTFORD SHOW!! RAMADA EAST HARTFORD HOTEL, 363 ROBERTS STREET, EAST HARTFORD, CT. 40 TABLES, FREE ADMISSION, PLENTY OF PARKING, MORE NEW DEALERS!! This entry was posted in Coin & Currency Shows, Coin Collecting and tagged Connecticut Coin & Currency Shows, Connecticut Coin Shows, Connecticut Currency Shows, Hartford Connecticut Coin Currency Show, Naugatuck Connecticut Coin & Currency Show Flyer on September 23, 2015 by homescape.llc@gmail.com. We will have all items from our website available for sale including banknotes that we have not added to inventory yet! If you are a coin or banknote collector, stop by our booth! This entry was posted in Coin & Currency Shows and tagged Coin Show, Currency Show, First Sunday Stratford Coin & Sport Card Show on September 13, 2015 by homescape.llc@gmail.com. But over the last 2 months we have added a small category that many collectors may find interesting. Guide Books or Reference Books as they are sometimes called have been added to our inventory. All under the “other” category for now, we have reference guides and pricing guides to many hobbies like gun collecting, hot wheels or toy collecting, we even have a guide for pinball enthusiast. Check out our reference guide section by clicking here…. This entry was posted in Uncategorized and tagged Collectible Reference Guide Books, Reference Books, Reference Guides on September 13, 2015 by homescape.llc@gmail.com. Bradbury Wilkinson & Co were an English engraver and printer of banknotes, postage stamps and share certificates. In 1856, the original company was started by Henry Bradbury (1831-60). In 1873-74, they built an imposing six-storey workshop, for engraving printing plates, in Holborn, London at 25 and 27 Farringdon Road, which is now a Grade II-listed building. In 1903, the company was acquired by the American Bank Note Company. In 1917, the company moved to New Malden in Surrey still operating as Bradbury-Wilkinson as a wholly owned subsidiary of ABNC. In 1983, Bradbury Wilkinson created a form of polymer banknote using Du Pont’s Tyvek material; this was marketed as Bradvek and used to print 1-pound banknotes for the Isle of Man. In 1986 it was acquired by De La Rue. The site is now occupied by the Shannon Corner Tesco supermarket. The last Bradbury-Wilkinson plant was shut down by De La Rue in 1990. This entry was posted in Banknote Collecting, Banknote Printing Companies, Notaphily, Numismatics 101 and tagged Banknote Printers, banknote printing companies, Banknote Printing Company, Bradbury Wilkinson and Company on September 4, 2015 by homescape.llc@gmail.com. Fidelity Printers and Refinery is a security printing and gold refinery company wholly owned by the Reserve Bank of Zimbabwe established in 1966. FPR operates from a printing and gold refinery plant located in Msasa Industrial area in Harare and a coin minting facility in Bulawayo. See their website at Fidelity Printers and Refinery. After the Unilateral Declaration of Independence by Ian Smith in 1966 the British private banknote printer Bradbury Wilkinson & Co was ordered by the British government to cease printing currency for Reserve Bank of Rhodesia as part of sanctions against the Unilateral declaration of independence. The Rhodesian government then went on to sign a contract with Giesecke & Devrient which the first order was seized by the British Secret service as counterfeit Reserve Bank of Rhodesia subsequently refused to pay Giesecke and Devrient for the seized noteds. This forced Giesecke & Devrient CEO Siegfried Otto to quickly make arrangements to source and supply an old intaglio and background printing lines while he sourced for a new Super printing line as a sanction busting move. The equipment was delivered in secrecy to a South African registered proxy company. By the time the British secret service realised the printing machines had already been shipped across the border from South Africa into Rhodesia. A few months later Siegfried Otto sourced and delivered five new printing lines for Rhodesia. This arrangement further strengthened the position of Lousenthal, a Gisecke and Devrient subsidiary, as a banknote paper supplier. A contract was then signed with Lousenthal being the banknote paper supplier to Rhodesia and subsequently Zimbabwe after attainment of Independence. The printing operations were to print banknotes and were done in total secrecy in the basement of the old reserve bank building. In a few years of establishment, Fidelity Printers with the help of technical partners in Giesecke & Devrient, Koenig & Bauer, SICPA and many others FPR achieved recognition as one of the best banknote printing operations in the world producing high quality, secure notes. The company was then incorporated in 1978 when the Central Bank board decided to privatise and commercialise its printing operations. Fidelity Printers was then established in December 1978. After this the company was then moved from the basement of the Old Reserve Bank Building in the then Salisbury C.B.D. to Msasa Industrial area at number 1 George Drive. The new printing complex was designed in Germany and modelled around leading bank note printing plants in Europe. Construction of the building commenced in April 1980 and, was completed at the end of 1981. The plant was opened by the then Prime Minister Mr Robert G. Mugabe on the 11th of February 1982. Products include currency, passports, examination papers, travellers cheques, Commercial Bank cheques, passbooks and a wide range of other government security documents, gold and silver bullion. Some products are made to customer specifications and produced to international standards for domestic, regional and international markets. Dr L. Tsumba reported that The foreign exchange saving, arising from these activities, were impressive hence the decision in 2001 to establish a local coin minting plant. The plant is equipped with some KBA Super Simultans, KBA Super Numerator, KBA Giori Super Orloff Intaglio (Colour), KBA NotaSys, KBA Rapida, Roland Favorit. With this the company has the capacity to produce over 200 million pieces of banknotes per year.Fidelity Printers and Refinery also makes use of some digital printing systems like the OCE Prisma system for light commercial jobs. For card personalisation and recharge cards the company operates Atlantic Zeiser and KBA Universys and Muhlbauer HSO systems. The passport department also employs Muhlbauer systems for passport and passbooks production. The plant still owns and runs some very old printing machinery like the Heidelberg printing presses. During the hyper-inflationary years the company produced high denomination notes to beat the rapidly rising inflation rate in Zimbabwe. At the request of the RBZ under the stewardship of its governor Dr. Gideon Gono released several series of the Zimbabwe currency. The Highest note ever printed in the world was the Z$100 Trillion note Printed by Fidelity Printers and Refinery in 2008 when the inflation rate had breached 3,840,000,000,000,000,000% by September 2008. Most of these notes were largely rejected on the market mainly because there was no change for them and secondly lack of confidence in the value of the notes. People opted to trade in United States dollars, South African Rands and other forms of foreign currency. The rate of inflation and how fast the currency lost value could be seen in the watermarks on the banknote paper. Some bills were printed on paper watermarked with 1000 in them denoting that the paper was intended for $1000 note which was the highest note in the country in other cases the huge figures were printed on paper reserved for 500, 100 or 50 dollar notes. In July 2008 the supplier for Banknote paper to FPR, G+D, was pressured by the German government to suspend all banknote paper supplies to Fidelity Printers and Refiners. The reason cited for the suspension was that the company was supplying resources being used to prop up the Robert Mugabe regime by printing the currency which was then used to pay the militias, police and army to stifle the people from expressing their views and opinions about the government and voting against it. The money was used to set up networks of command bases around the country manned by liberation war veterans and youth militias, hired to terrify the population into voting for Mugabe in the runup to the June 27 presidential runoff election. The G+D CEO, Dr. Karsten Ottenberg, was quoted a few days later saying “Our decision is a reaction to the political tension in Zimbabwe, which is mounting significantly rather than easing as expected, and takes account of the critical evaluation by the international community, German government and general public. 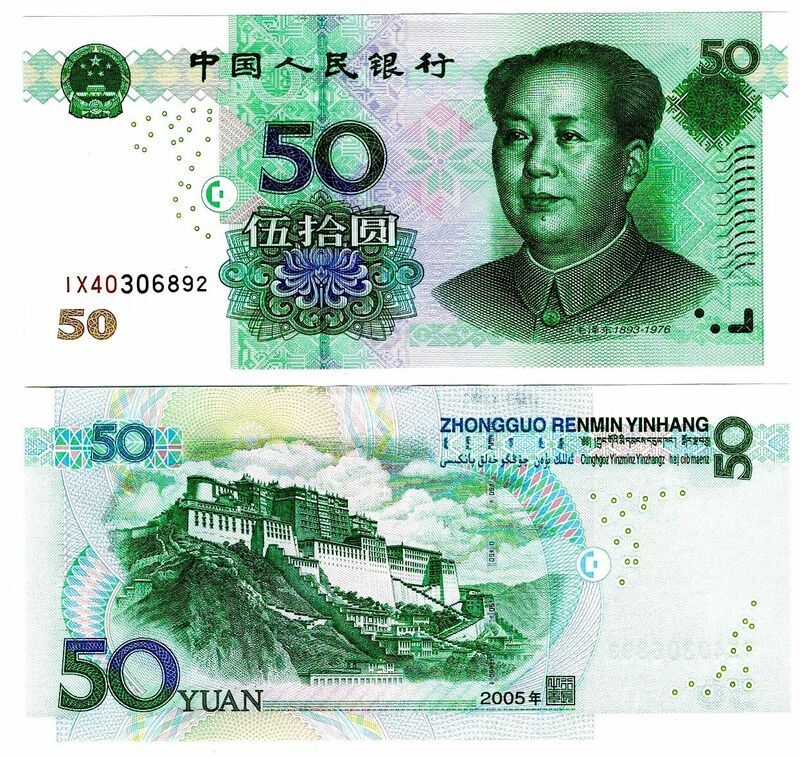 While under sanctions the company had to immediately seek alternatives to secure quality banknote paper. FPR tried to secure alternative suppliers in Argentina, Indonesia, Russia and China. Representatives from FPR and the RBZ travelled to Argentina to inspect one of the companies which had expressed interest in supplying banknote paper but were however denied entry into Argentina despite assurances for Visas issuance upon arrival. The Pura Group of Indonesia also offered to deliver banknote paper within one and a half months of securing a contract. While this was being done a stop gap measure was implemented where Kadoma Papermills briefly switched into research and development mode in order to assist this turned out to be a very tough challenge as there was no technical expertise for the manufacture of banknote paper in the country. The company (Kadoma Papermills) managed to come up with a product which could be used as banknote paper though the quality was far below the expected. FPR was also concerned if ever there occurred a scenario whereby one of the KBA printing machines would fail or breakdown as this would have greatly crippled the country since the company had been sanctioned and all forms of material and technical support were being withdrawn by the German partners. Alternatives were entertained and briefly considered as a mitigating strategy however they were never taken up beyond the high level discussions as the Economy was then dollarised considerations were to purchase the Japanese made Komori currency equipment but no formal contact or expression of interest was ever made to Komori Corporation. In a bid to ensure continuous production and supply of Banknotes the RBZ approached another local security printing company, Celsys, offering it a contract to print banknotes. This however did not materialise because the Zimbabwe Dollar was demonitised and production suspended three months later by the finance minister Tendai Biti. in 1987 the bank Board then decided to increase the company’s role in national economic growth by adding a new operation which was Gold processing and refining at Fidelity Printers thus the company name was then changed to Fidelity Printers and Refinery. Initially the company had a production capacity of 50 tonnes of Gold per year at a purity of 99.999. with such production capacities the company was then awarded accreditation on the London Bullion Market Association (LBMA) was obtained in October 1989. This entry was posted in Banknote Printing Companies, Notaphily, Numismatics 101, World Paper Money and tagged AFRICA BANKNOTE COMPANY, africa banknote printing company, Banknote Printers, banknote printing companies, Banknote Printing Company, Fidelity Printers and Refinery, Zimbabwe Banknote Printing Company on August 20, 2015 by homescape.llc@gmail.com. If you are looking for a unique FREE dropshipping program then look no further. No membership fees, No contracts or monthly subscriptions, NOTHING!!! Just list our products on your Ebay or Amazon account and start selling. It’s 100% FREE!!!! If you are a coin dealer or deal in numismatics and have your own website, this program is custom tailored for you. Our free dropshipping program has banknotes, coins, and collecting supplies to increase the items in your online store and increase sales. It’s easy. Simply check out our dropship products and use our pictures and descriptions for your website or online store. Make sure to mark up the item and when it sells, simply order it from our website and we will ship it directly to your customer with no invoice or price. It could not be any simpler. 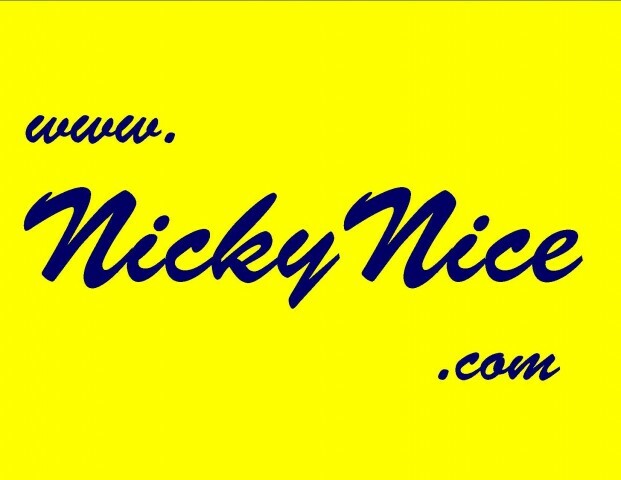 When it sells, order from NickyNice.com and we will send it directly to your customer with NO invoice and NO receipt. The best part about our FREE DROPSHIPPING PROGRAM is that we ship worldwide. No matter if your customer is in the USA, Canada, Mexico or Europe or Asia….we are here to deliver. Check out our standard shipping prices and work them into your prices when listing our items on your online store. If you have any questions at all, just shoot us an email at NickyNiceBrands@gmail.com and we will be more than happy to help. This entry was posted in Free Dropshipping Program and tagged Collectibles Dropshipping, Free Dropshipping, Free Dropshipping Program on August 16, 2015 by homescape.llc@gmail.com. We Now Offer International Shipping on All Banknotes, Coins, Collectible Supplies and More! We strive to offer the best selection of products to banknote collectors specifically and numismatic enthusiast around the world. NickyNice.com is pleased to announce that we now offer International Shipping around the world on all of our products. If price is $0.99 and above the Shipping Cost is $2.99 for the Lower 48 USA States and $4.99 to Hawaii and Alaska, $9.99 to Canada and $19.99 for all other International destinations. If price is $9.99 and above the Shipping Cost is $5.99 for the Lower 48 USA States and $7.99 to Hawaii and Alaska, $12.99 to Canada and $25.99 for all other International destinations. If price is $49.99 and above the Shipping Cost is $12.99 for the Lower 48 USA States and $14.99 to Hawaii and Alaska, $19.99 to Canada and $39.99 for all other International destinations. If price is $100.00 and above the Shipping Cost is $15.99 for the Lower 48 USA States and $17.99 to Hawaii and Alaska, $22.99 to Canada and $44.99 for all other International destinations. This entry was posted in Banknote Collecting, Coin Collecting and tagged Banknotes Dealer, Banknotes For Sale, International Shipping Banknotes, International Shipping Coins on August 12, 2015 by homescape.llc@gmail.com. 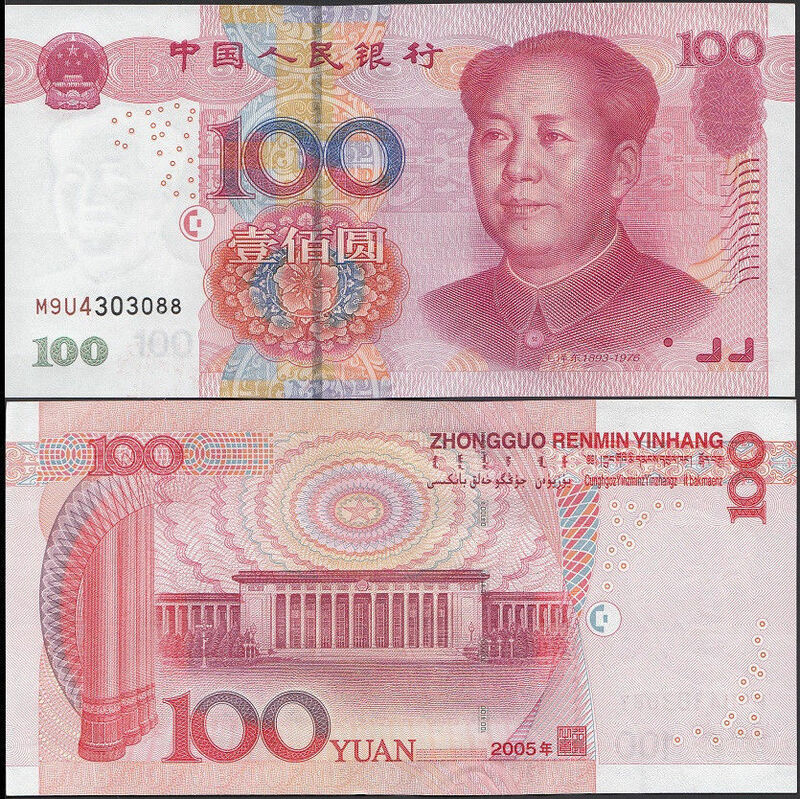 New Banknotes from China For Sale! 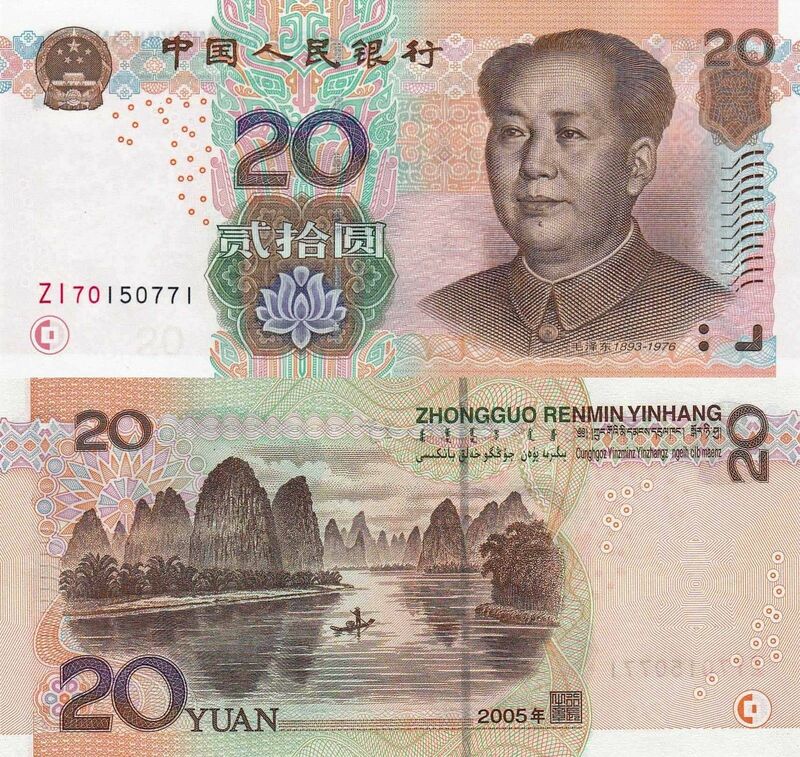 This entry was posted in New Banknotes for Sale, Notaphily, Uncategorized, World Paper Money and tagged CHINESE BANKNOTES FOR SALE, new banknotes for sale on August 12, 2015 by homescape.llc@gmail.com. Waterlow and Sons Limited was a major worldwide engraver of currency, postage stamps, stocks and bond certificates based in London, Watford and Dunstable in England. The company was founded as a family business in 1810. It was acquired in 1961 by De La Rue. Waterlow and Sons originated from the business of James Waterlow, who began producing lithographic copies of legal documents at Birchin Lane in London in 1810. The company gradually grew; it began printing stamps in 1852, and Waterlow’ sons Alfred, Walter, Sydney and Albert joined the business. James Waterlow died in 1876, and the company became a limited-liability company. In 1877, due to a family dispute, the company split, and Alfred and his sons formed Waterlow Bros. & Layton. The two companies later reunited in 1920. Waterlow’s was involved in the Portuguese Bank Note Crisis of 1925. The Banco de Portugal sued Waterlow & Sons in the High Court in London because of counterfeiting. In one of the most complex trials in legal history, the case was finally settled in favour of the Bank in 1932. In 1921 the Bank of England gained a legal monopoly on the issue of banknotes in England and Wales, a process that started with the Bank Charter Act of 1844 when the ability of other banks to issues notes was restricted. On 22 November 1928 the Bank issued notes for ten shillings and one pound for the first time when the Bank took over responsibility for these denominations from the Treasury which had issued notes of these denominations three days after the declaration of war in 1914 in order to remove gold coins from circulation. The treasury bills had been printed by Waterlows, and the loss of the contract contributed to the closure of Waterlow’s operations at Milton Street in Watford. Waterlow’s was acquired by Purnell and Sons in 1961, but Purnell sold Waterlow’s segment that printed banknotes, postage stamps, traveler’s checks, and bonds to De La Rue soon after. In 2003 De La Rue acquired the banknote printing operations of the Bank of England, 75 years after Waterlow’s had lost the business. Waterlow and Sons Ltd was dissolved in January 2009. This entry was posted in Banknote Printing Companies, Notaphily, Numismatics 101 and tagged Banknote Printers, banknote printing companies, numismatics 101 on June 26, 2015 by homescape.llc@gmail.com. New Banknotes for Sale from Poland! As promised, we continue to grow our inventory of gem mint uncirculated banknotes for sale here on www.NickyNice.com…. Check out this weeks additions of Poland Banknotes which include Poland Banknote P-142, P-143 and P-149. All Poland Banknotes for Sale can be found by clicking this link. This entry was posted in New Banknotes for Sale and tagged Collectible Currency from Poland, new banknotes for sale, Poland Banknotes on June 22, 2015 by homescape.llc@gmail.com.